It’s become official: America’s wars in Iraq now officially outnumber the World Wars. Not sufficiently chastened by two-plus decades of ill-concieved military adventurism in the Middle Eastern state whose results have been decidedly mixed (to be outrageously generous), the Obama Administration has drummed up an international coalition of support for airstrikes against the self-proclaimed Islamic State. A radical and brutally violent militia of Islamic extremists (mostly animated by Sunni discontent in the region) who have exploited the sectarian conflicts of Iraq and the protracted civil war in Syria to gain control over a vast territory across both countries, the group was formerly known as the Islamic State of Iraq and the Levant (ISIL) and the Islamic State of Iraq and Syria (ISIS). 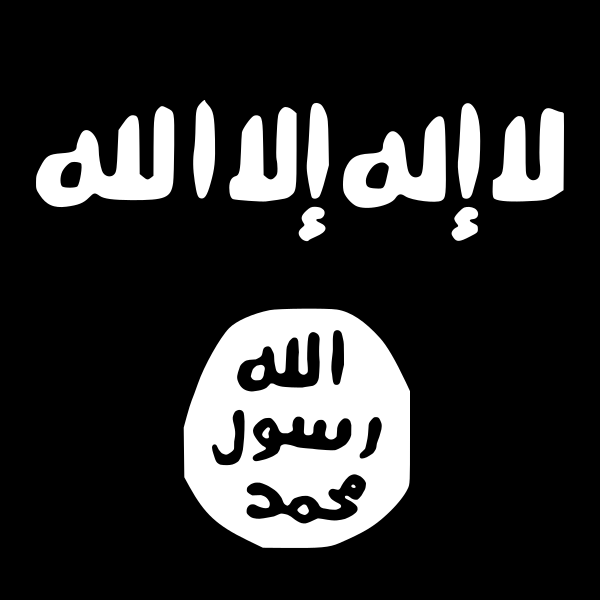 The latter acronym has caught on as a bogeyman moniker in America and the West (the piratical Black Standard flag they’ve adopted doesn’t hurt the villainous appearance), although the Islamic State has mostly dropped the geographic denominator in its (frankly laughable) mission to establish a global caliphate. Just because some of us might not be able to read or hear of ISIS without thinking of the Bob Dylan song doesn’t mean that they aren’t a serious, well-armed, well-funded cadre of nasty, reactionary characters who are crafting a world of hurt and suffering for local populations. So serious and nasty are they that al-Qaeda recently cut ties with the Islamic State, finding it too volatile and vicious for their liking. That’s right: the terrorist network that thought it valid to crash planes into skyscrapers to punish kafir capitalists for deviations from the path of Allah finds that these guys push it too far. That, to be put it mildly, is bad. The usual lines of political disagreement seem to be defining the reaction in America, Canada, and Western Europe to the push for American-led military intervention. Antiwar progressives will nitpick the details and perhaps even challenge the general validity of military action, with some anti-state libertarians briefly on their side. Rabid Fox News conservatives, meanwhile, whose views and positions on anything Middle Eastern or Islamic have long been motivated by thinly-veiled xenophobia and religious rivalry, will welcome any state-sponsored killing of Muslims, even if it is carried out by a secret Muslim President (the enemy of my enemy is also my enemy; everyone is my enemy, except for Jesus). Their psychological arousal at the thought of armed conflict (as long as it is far away and doesn’t threaten their cycles of consumption) is mirrored by that of the neoliberal hawks still manning the barricades of political discourse in defence of the Barack Obama Presidency’s foreign policy legacy. Unwilling to admit that the surveillance and national state has been expanded and covert foreign military action has been even more deeply entrenched in American public life under the President who promised to roll back such abuses of power in contrast to his neoconservative predecessors, the neoliberal elite embraces serious-minded assaults on brutal, backwards-focused fundamentalism as a self-evident good, in and of itself, as well as a forceful legitimizing tool for their foreign policy worldview. The full, complex, knotty reality behind the rise of the Islamic State is much less simple and far more unsettling and potentially intractable than any substantial political consensus in the United States or anywhere else is willing to face up to. PBS’s Frontline examined the troubled and tragically miscalculated history behind the current version of the Iraq conflict in the recent Losing Iraq (embedded in full below) and finds both the Bush and the Obama Administrations culpable in what can only be honestly called the failure of the Iraqi state in the wake of the deposition of Saddam Hussein in 2003. The Bush team’s approach to Iraq has been painstakingly dissected and found wanting by progressive-leaning documentaries in the past, and the same issues are front and centre in Losing Iraq: the lack of planning and preparation, the assumption of ease of military victory and quick withdrawal, the privileging of neocon ideological purity and muscular conservative messaging over the advice and intelligence provided by experts in the region, the basic distrust and/or desire for punishment of Ba’athist-linked Sunnis that led to their general alienation from the increasingly Shi’ite-dominated political processes in the country. The dissolution of the Iraqi army and disenfranchisement of Sunnis is tracked directly to the stubborn insurgency that eventually morphed into the Islamic State. Driven by rigid fantasist beliefs and domestic political and PR concerns, Bush, Cheney, Rumsfeld, and their Republican underlings chose at nearly every point to take actions on the basis of any interests but those of Iraqis. In a half-hearted, endlessly compromised attempt to secure Iraq, they succeeded only in rendering its insecurity permanent. Losing Iraq‘s criticism is also levelled at George W. Bush’s successor. Whatever might be said about the inept, crippled, and reluctant nation-building exercise carried on by the Bush Administration in Iraq, at least they kept troops, diplomats, and other officials in the country to work at cleaning up the complicated mess that their overthrow of Saddam had made. Launching the second war in Iraq was a deep moral stain, but it was a moral stain that implicated Americans in the process of its protracted removal. President Obama, who ran for the highest office in the nation largely on the basis of a promised reversal of Bush’s unpopular, shameful Iraq policy, was uninterested in the warnings of his officials in the still-war-torn land that the swift withdrawal he intended to effect would have terrible consequences. The depth of the folly of the Iraq war is demonstrated in the dearth of favourable options after this particular military genie was let out of the bottle: it was such a mistake that any and all decisions that followed it and reacted to it could not help but be mistakes too, ever deepening the implications of the original tragic error. It was a foreign policy black hole, pulling even the most well-meaning plans down into a matterless oblivion. More than anything, the assumptions of neoliberalism proved fatally insufficient when it came to Iraq, an insufficience which the Islamic State has recognized and exploited to devastating effect. Bush and the neocons, though ideologically right-leaning, bowed to the neoliberal distaste for bloody, drawn-out conflicts that send thousands of young American men home in body bags formed by the Vietnam War. Seeking to avoid the political consequences of war weariness, they constructed a strategy of minimal engagement that exacerbated existing problems while their prejudices recklessly forged new problems. Obama’s similarly war-averse neoliberalism is even deeper, and inspired his rapid withdrawal from Iraq and increasing reliance on drone warfare to engage enemies (real and perceived) in foreign conflict zones. This aversion to the deadly sacrifices of warfare, even in a modern technocratic globalized order allowing detachment from and disavowal of faraway battles, is precisely what radical Islamists in Iraq and Syria and elsewhere have relied upon to make their gains. Just as Vladimir Putin’s Russia has calculated that principled international opposition alone would not lead to risky NATO intervention in its conflict with Ukraine and was proven right, the Islamic State made its advances in the knowledge that the democratic West did not have the ruthless core to match their own. Even now, as warplanes drop ever-inaccurate bombs on Islamic State targets, ground troops and the attendant casualties are scrupulously avoided (even as the dreaded “military advisors” on the ground in Iraq grow in number; Vietnam War scholars remember those well). Neoliberalism seeks to achieve results through the force of its own inevitability and, of course, the materialistic desire of disadvantaged actors to achieve a fragment of the wealth and privileged status of their elitist benefactors. The Islamic State rejects material benefits as blasphemy and beheads neoliberalism’s inevitability before posting the video of the act on YouTube. It is an outcome only reluctantly contemplated, but it seems like it will take infinitely more than airstrikes to dislodge the Islamic State from either their occupied territory or from their central nesting place in the nightmares of the neoliberal West.